The fun of sports – the reason it is such irresistible escapism from an increasingly terrifying world – lies in its immediacy. When you are watching a sporting event, you are not worrying about the state of the planet, or fretting about your finances, or disappointed in your job and career, or finding yourself entrenched in any sort of philosophical crisis. You are just watching a game. If your team wins, you are happy. If they lose, you are sad. There is nothing in life this black and white, and sports’ brilliance lies in that simplicity. What you are watching, you are watching right now, and right now is all that matters. And yet it seems to have all been greeted with a bit of a shrug? Everywhere I look, this revolutionary season – one that we’d all be losing our minds over if it had happened any other calendar year other than this one – is greeted with something resembling indifference. Sure, Georgia fans are still showing up on the road like they always do; I saw them taking over Bourbon Street in October just like you did. But the vibe is off this year. Home crowds, scared off by intense early-season temperatures, never really recovered after the month off between Vanderbilt and Auburn; they showed up for the Tigers, but the place never quite lit ablaze in a game that was won with the usual cold efficiency. (The weather for the Massachusetts game was picture perfect, and Georgia Tech is Georgia Tech, but there sure were a lot of people impersonating empty seats at both.) The tickets for the SEC Championship Game – the SEC Championship Game! Which Georgia is playing in! For the right to reach the playoff! 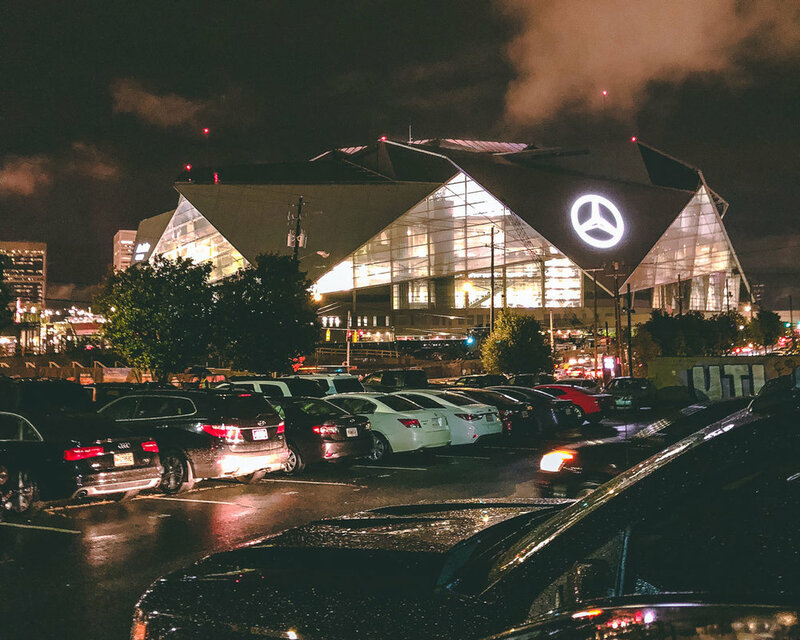 – are half what they were last year, and, anecdotally, about half the people I tailgated with in Atlanta pregame last season aren’t bothering coming into town this year. Georgia is 11-1, ranked No. 4 in the country and is having a season that roughly 127 college football programs would sacrifice a relative for. And I can’t talk people into coming to the SEC Championship Game with me. To paraphrase the now-disgraced Louis CK, everything’s amazing, and nobody’s happy. What is wrong with everybody? Part of this is the obvious, of course: It’s Alabama. It’s Alabama standing in the way this week, the way that Alabama is always standing in the way. It has been infuriating for Georgia fans to watch nearly 40 years as Auburn, and Florida, and Tennessee, and LSU, and Clemson, and even freaking Georgia Tech have won national championships while they haven’t, but, still, no team sticks more in the psyche of Georgia fans than Alabama. They are forever the rabbit Georgia cannot catch. Whether it was 2012 and the helplessness of that clock running out, or the soggy sadness of that home 2015 blowout or, of course, the way last year’s national championship game, an instant nightmare so total that it felt like there should be some sort of ribbon pin Georgia fans should be wearing, a death in the family, “Athens Strong.” Georgia fans have gotten their hopes up before when it comes to Alabama – that 2015 game remains the last time Alabama was not the Vegas favorite in an individual football game – and those hopes have been dashed time and time again. And this year they have a typical Alabama team except they also finally found their own Cam Newton in Tua Tagovailoa, who throttled college football around the neck with that final pass last year and hasn’t let go since. We’re gonna beat that guy? And this team? No one wants Lucy to pull the football away yet another time. Best not bothering to try to kick. But that explains fear for this week: That doesn’t explain all of it. No, I’d argue, the primary reason Georgia fans have been holding this year’s team at a certain remove is because, well … they’re not last year’s team. The 2017 Georgia Football team was one of those special teams that come along once in a generation, one that is not only fantastic but also gloriously fun doing it. Chubb. Sony. ROQUAN. That team had huge, recognizable personalities and the Kirby Smart Baby Alabama overall depth that was irresistible, the perfect mix of what the best parts of Richt and Smart. They pounded through the SEC on a Revenge Tour for the ages, stomping out past humiliations against Tennessee and Florida and even, ugh, Vanderbilt. And, if that weren’t enough, they had glorious victories in two of college football’s most vaunted cathedrals, with Georgia fans taking over both Notre Dame Stadium and the Rose Bowl, the latter of which still might be the best college football game I’ve ever seen. 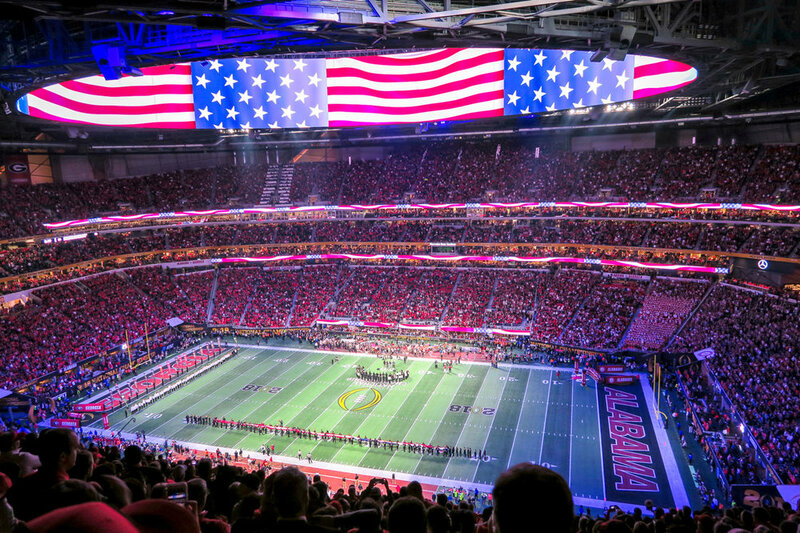 You could not map out a more purely enjoyable college football season, down to the National Championship Game being played in Atlanta, of all places. It was perfect. Until the end, of course. How do you follow that? What Kirby Smart and company have done is follow it with, essentially, the exact same season, the same level of dominance, the same ruthless efficiency. But sequels are never as much fun as the originals, particularly when they follow the same script. Imagine Rocky IV, except it’s just Rocky beating up Clubber Lang again. Georgia fans are so desperate for a national championship that pure rote destruction of their enemies just doesn’t do it for them anymore, not if they’re doing it in the same way they did last year. Last year’s highs were so high that the same fix just won’t do this time. We need a stronger hit. 11-1? We just did that. Now that’s the expectation. And I suspect it will be that way moving forward. This is an impossible situation for Kirby Smart and his staff, an even higher standard than Mark Richt’s 10-wins-and-still-nobody-cares regime. No coach in America would want to have to live up to that year after year. But that is now what Georgia fans expect now. 11-1 – 11-1! -- isn’t enough. It’s insane and absurd and unfair. But here’s the thing: They went ahead and did it anyway. This year’s Georgia team has followed up their dream season with a season that was just as good, that has them in the exact spot they were a year ago. Win the SEC Championship Game, and you’re in the playoff. 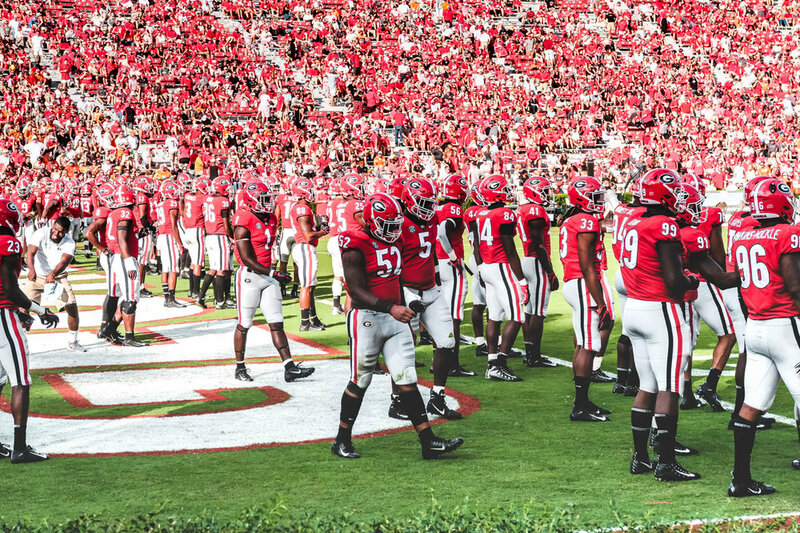 Despite the loss of those senior leaders, despite all the young players forced into starting spots, despite all the inevitable backsliding you’d expect after such a breakthrough year … Georgia is right back here. They are one win, one win against those blasted Tide, from giving their fans all they’ve ever wanted. That’s what’s happening right now. It’s not last year. And it’s not some uncertain date on the horizon, when Smart has four full recruiting classes under his belt and can go the full Alabama, or when Nick Saban has decided to retire, or when this thing is really rolling. It’s right now. It’s right in front of your face. Georgia fans have been waiting for everything to finally go right for them for so long that they’re missing the possibility of it happening this very second. Alabama has been wobblier than usual the last couple of weeks – as wrong as it seems to cheer for an injury to a 20-year-old kid … come on Tua’s Knee, let’s act up! – and Georgia has played better every week since the LSU game and appears to be peaking at the exact right time. This isn’t just a great chance, it could, you never know, be the only chance Georgia gets for a while. As much as Georgia fans like to assume annual dominance of the SEC East, the world doesn’t work out the way it’s supposed to sometimes. They’re here right now: It’s as simple as winning this one game, right in front of them. That seems worthy of maybe making the trip to Atlanta again, perhaps? Maybe? Look: I get it. After the National Championship Game ended, I wrote a piece speaking to Georgia fans as if they had just been in a serious car accident : It’s going to be OK. You will make it through this. That’s a tough blow to overcome. But Georgia fans didn’t have to wait a decade to get a chance to avenge it. They get to try right now, in the same calendar year, not even 11 months later, in the same building, with the same quarterbacks, same coaches, same everything. This is all you could possibly hope for. It’s sitting there right in front of you. I know it’s scary. I know it’s easier, and safer, to remember the happy past or dwell on a presumably rosy future. But this is happening, right in front of you. Georgia can do this right now, with this team, in this year. The present is all that matters. Let’s all go be a part of it. Everything you’ve ever wanted is right here, for the taking. Don’t be governed by fear, or past pain. It’s the simplicity of the now. If they lose, you will be sad. But oh, oh, oh, if they win? If they win, there will never have been anything like it. And you will have been there. It will be yours, and it will be yours forever. Subscribe to Will’s weekly newsletter at https://tinyletter.com/williamfleitch/.